As you first walk in, you are greeted by our lovely front desk staff. We have a 40,000 sq. ft athletic facility that accommodates athletes of all levels. We have a total of 6 batting cages. 4 of which are on the first floor and 2 are on our mezzanine level. From our mezzanine level, you can enjoy watching a practice or game on our 16,000 sq. ft turf field. Baseball is the sport upon which Bobby Valentine's Sports Academy was founded. Just like baseball, softball is the bedrock sport upon which Bobby Valentine's Sports Academy was founded. 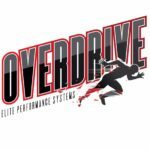 We are very excited to introduce OverDrive Elite to our community! We are happy to have them as a part of the BVSA family. Bobby Valentine’s Sports Academy is the host for a variety of local travel teams in Stamford. We are committed to educating young athletes on the technical, tactical, and physical aspects of soccer. Bobby Valentine’s Sports Academy is excited to welcome the CT City Lacrosse program into our facility! CT City. 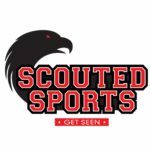 Bobby Valentine’s Sports Academy believes in the power of education through youth sports and the transforming effect it can have on athletes. Every interaction is an opportunity to help a player improve, which we take very seriously. Whether the athlete comes to us as an all-star or a beginner, we will work to better their skills while they enjoy every session. We guarantee maximum effort from our staff to find the right path for each athlete to perform at the best of their abilities.